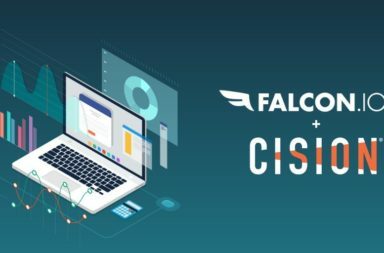 Falcon Social is a startup focusing on making it easy for companies to use Social Media, and provides a SaaS platform for Social Media Management. The startup got an investment of more then €1M from Northcap Partners a year ago, and has since then seen a great growth. They are so far only Copenhagen based, but are currently planning to open local offices both in the DACH region within a year — as well looking closely on expanding across the atlantic to the US. We had an Q&A with Ulrik Bo Larsen, CEO and founder. How many employees are you right now? Are all on-site at the office in Copenhagen, or do some work from other countries? Falcon is currently growing with one member of staff a week (rolling 6 month). We are currently 36 employees, from 16 nationalities in total, all working at Skindergade 3 in Copenhagen. That’s a lot of different nationalities, what are their roles? Are they focusing on their respective home-marked, or is it for other reasons? Falcons multi-national team is made up of the best talent in our industry. We do not limit our search for great team members to the local market, we are searching for them across the globe. Social has matured a lot the last years. Finding good team mates with experience in this field is tough, if we limited our search for new co-workers to the local market the selection of talented prospects would be reduced. 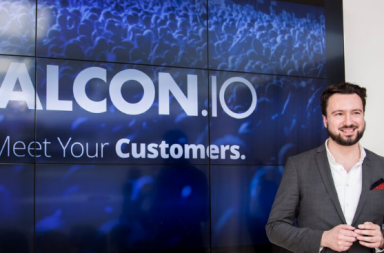 Saying that, Falcon doesn’t have any business objective to build a team from different nationalities – The only objective is to find the right competencies and commitment to join the team. For our sales team we target the English, Nordic, German, Dutch and French speaking markets. It is important that we have a solid connection to the target markets culture and business practice in an early state in the client life cycle. How many markets are you active in right now? We have customers all over the globe using Falcons platform in their day-to-day social media workflow. One example is Carlsberg where we have completed a 44 country roll out of the Falcon platform, that enables Carlsberg to create, launch and measure the performance of its social media campaigns and coordinate all its social marketing programs from a single, centralised SaaS platform. What is Falcon Socials ambition – how big do you want to get? Falcon Social entered the international scene in 2012, and has experienced great traction in enterprises for our approach in the next generation of Social Media Management across the enterprise. Social Media is what can be called ‘the canary in the coal mine’, showing the first phase of how enterprises and organizations need to change their rules of engagement across many business processes beyond marketing – while not losing sight of constantly providing the power tools marketeers need to to get their message to cut through the ever increasing media noise. How do you recruit people, especially people from other nationalities. We get a huge amount of work applications from all over the globe. The applicants are not restricted by marketing borders. We can sense that they see themselves as citizens of the world. Though, some people maybe find it hard moving to a new city to find the right workplace. But that´s not the case for our co-workers – we can see that applicants are now prepared to move long distance, across the world to join us. One of our team members Cristiano moved from Brazil to Denmark to join us at Falcon Social. When we need to fill a special role, we advertise in the relevant markets and in Social Media, in order to attract new great co workers. Staying on the subject of nationalities: what have been some challenges with people from different nationalities. What are some advantages? Our office language is English on a day-to-day basis, which makes is easy for everyone to communicate. However, on some occasions language misunderstandings have occurred – though strangely, those misunderstanding have mainly ben between scandinavians talking together but in their own language. The advantage of such a broad range of backgrounds is that when a customer from one of the team members’ countries comes onboard, we have a deep knowledge of that market and culture. For example, when we recently welcomed a Brazilian customer to Falcon Social, Cristiano was able to ensure that they did things ‘o caminho brasileiro’ – the Brazilian way! By having 16 different nationalities on board Falcon social as an organization gets a broader aspect of how to approach challenges and raising opportunities, which helps us to constantly re-think, re-do and innovate our product and service to the better. Thanks to Ulrik for the time and the interesting insights into what surely is one of the most international startups in this region. First Betapitch in the Nordics on June 20th – and it has a great lineup!